Mercedes-Benz is set to expand its portfolio in India with the launch of the AMG S 63 Coupe on 18 June 2018. The Mercedes-AMG S 63 will be the fourth performance-oriented product from the German carmaker to be launched in India this year. It recently introduced the E 63 S and the special edition SLC 43 Red Art and GLE 43 Orange Art. The performance coupe is expected to be priced over the Rs 2.5 crore mark. Since it’s an AMG, the biggest attraction lies under the bonnet. The S 63 gets a 4.0-litre V8 biturbo with twin-scroll turbocharger instead of the 5.5-litre V8 biturbo seen on the previous version. Despite the reduction in capacity, the headlining numbers have increased by 27PS to 612PS@5500-6000rpm, while the torque figure stands at 900Nm@2750-4500rpm. This makes it even more powerful and torquier than Mercedes’ halo product, the AMG GT R, by 27PS 200Nm, respectively. Like most modern AMGs, the S 63 gets a 9-speed ‘9G AMG Speedshift’ gearbox that sends power to the rear wheels. It also packs cylinder deactivation technology for improved fuel consumption. The 0-100kmph dash is dispatched in 3.5 seconds and the S 63 is capable of hitting an electronically limited top speed of 250kmph. This can be raised to 300kmph with the optional AMG Driver’s package. 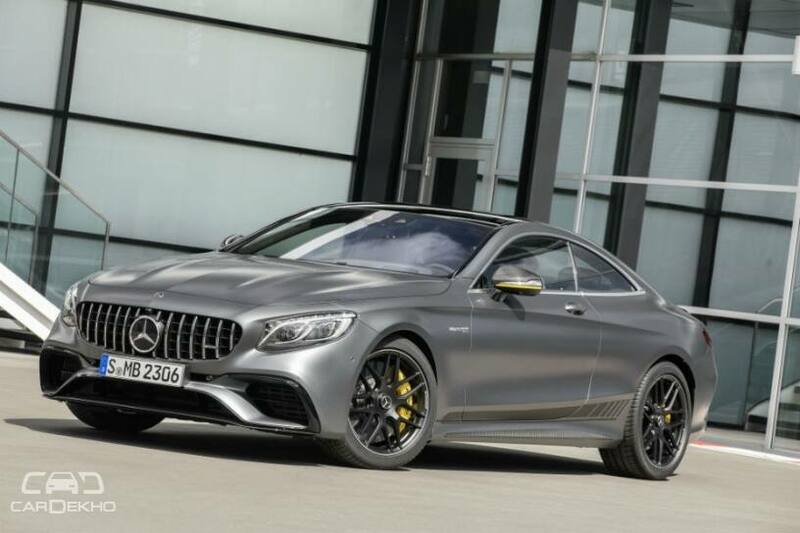 The Mercedes-AMG S 63 Coupe will rival the likes of Bentley Continental GT, and the Porsche Panamera Turbo. Currently, Mercedes-Benz’ rivals such as BMW, Audi and Jaguar do not have as powerful a version of their respective flagship sedans in India.